Well, I think I’ve played this game enough to finally write a review, critique, or some sort of write up concerning its amazingness. Mega Man fans can rejoice for yet another retro style sequel. While not as difficult or cheap as earlier games (the original comes to mind), it definitely provides a challenge for the casual video game player *ahem* everyone else on this blog thinks it’s too hard *cough* (as well as for more experienced players with Hard mode). Having beaten the game six times, as well as doing most of the challenges, I’d say I kind of enjoyed this game. From it I gained one of the greatest trophies to achieve on any system: Mr. Perfect. Honestly, not that hard to get; just takes some patience. What is there to like about it? Well, if you like platformers from the NES era, there isn’t much that isn’t in it (aside from a fat plumber). There are the 8 Master Robots, levels spanning the world in terms of location, and ridiculous looking bosses. 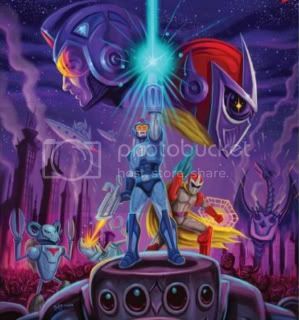 The soundtrack is great, albeit not the best Mega Man soundtrack – that’ll always be 5 to me. There is so much I want to say, yet no words are able to really express the feeling I get from this game. Just buy it and play it. Unless you hate games that make you actually play them and don’t hold your hand the whole way through. Then steer clear, because unless the game is on easy, you’ll need to heighten your platforming senses. Just because it’s 2D, that doesn’t mean it’s easy. I’ve never played a game that gave me a trophy to brag about until now… If you have any place in your heart for the Blue Bomber, buy Mega Man 10 right this instant. And then get Mr. Perfect. I dare you.